LPM 2013 Cape Town | Call for proposals!!! The thirteenth edition of LPM in Rome has just ended, but we are ready to start again with another fantastic project: LPM 2013 Cape Town, which will be held at the City Hall, historic building in the heart of the capital of South Africa, November 13 to 16. The website of LPM XIV edition is now on-line and, startig from today (June 7, 2013), THE CALL FOR WORKS IS OPEN! Send us your best project or performance and come join the most important event on LIVE VIDEO worldwide! * The performances in this category will be included exclusively in the program of the VJ Torna, international contest with prizes awarded in 3 categories. The registration form is only available on-line and the subscriptions will be accepted until September 10, 2013. 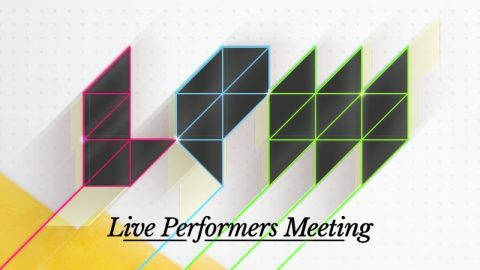 If you wish to participate to the Meeting, but you don’t want to perform, subscribe anyway as you will have an incredible opportunity to meet hundreds of live video artists, experts and practitioners, so to further your knowledge of the hottest topics related to live video performance! The aim of LPM is to promote and diffuse the free circulation of ideas, knowledge, techniques and languages related to LIVE VIDEO practice, which will be the main focus of the Meeting. 4 days in which there will be a spectacular, innovative and engaging programme, that you too can help make unique. Languages, techniques, cultural derives, innovative technologies: these are the themes that we want to discuss during our seminars and workshops. Send us your proposal for a talk, a presentation or a workshop and help us spreading knowledge!